"There is not really a right or wrong time to visit Vietnam as during most months of the year you will experience both sunshine and rain in varying quantities. Welcome to a country with 2000 + miles of coastline and three different weather systems." 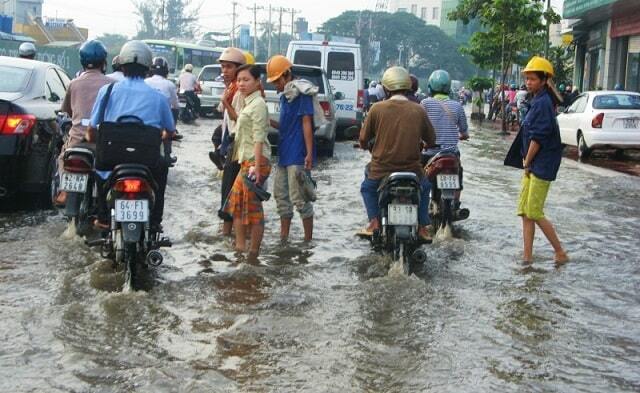 Climate -Vietnam is a country of 1,650 km long and hence the different climatic zones. The whole country falls into the tropic and subtropics but its stretching length and diverse topography allow it to span several different climate zones. The weather thus, tends to vary considerably from season to season and also from region to region. Some of these vaccinations are always recommended, regardless of the length of your stay in Vietnam. Other vaccinations, we recommend only if you want to stay longer than a certain time in Vietnam. Below this page is a beautiful Weather-Chart of every region. The north of Vietnam is home to cities like Sapa, Mai Chau, Hanoi and Ha Long Bay which is definitely worth a visit. It has its hottest months of May to October; around 30 degrees. These are also the months with the highest rainfall. So if you go in the summer holidays to Vietnam and no rain will encounter is advisable not to start in the north of Vietnam. The winter is relatively dry, but the temperature is around 20 degrees and the sun is relatively not much. Hanoi can then gray and dull. Sapa denotes approximately 1600 meters and there it is in the winter night against freezing down to. In the midst of the Vietnam daytime temperature fluctuates between 26 and 32 degrees. Most rain falls between October and December. 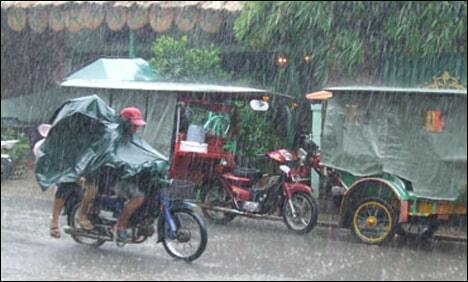 Then there can be heavy downpours, but also prevent typhoons, which can cause a lot of inconvenience. Nha Trang, Hue and Da Nang but lasts longer rainy season from September to February. But completely rain-free, it is never here, because in the dry season can fall a heavy shower. Beside that, typhoons are coming. The typhoon season is August to November. The best time for Central Vietnam from February to May; with temperatures around 27 and less chance of rain. The dry season and the typhoon season has not yet started. If you can't really stand the heat, go between March and May. It is in the central part never completely rain-free, because in the dry season can fall a heavy shower. 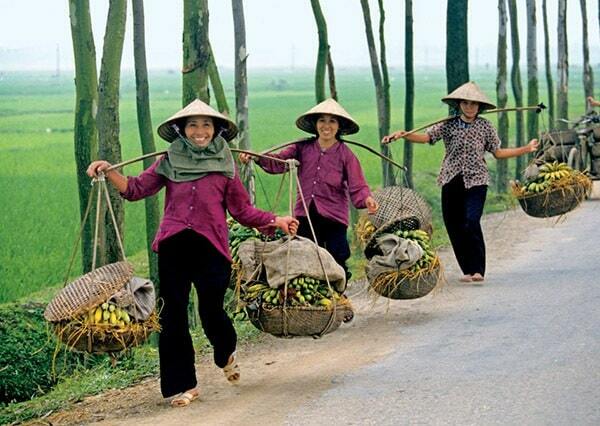 Southern Vietnam has a year-round average temperature of around 30 degrees. Throughout the year can also rain, but the most rainfall from May to November. In the warmest months (March, April, May), the mercury can even go toward 40 � C. The best months to travel are December to March. Best time to travel is during the months of December, January, February, March and April because then it is dry. CIf you can't stand extreme heat, then go between December and February. Would you like to visit during your holidays throughout Vietnam from North to South or vice versa, the best to go is between April and September. Average is considered the least rain all over the country. Rain seems to be a more important factor to plan your trip than temperature. In the rainy season are remote villages sometimes difficult or impossible to reach because roads are washed away.